Catalyst Game Labs announced the street dates for multiple games, including expansions for Shadowrun: Crossfire and Dragonfire. Variety posted the news that DreamWorks Animation is acquiring the movie rights to Mice and Mystics. Roll For Crit reviewed Forbidden Sky. The Dice Tower reviewed T.I.M.E Stories: Brotherhood of the Coast. Dice and Dragons reviewed Legendary Encounters: A Firefly Deck Building Game. The Dicey Review previewed Meeple Steeple. TechRaptor reviewed Dark Souls: Forgotten Paths. BGG user EH Gaming reviewed Escape The Dark Castle Review. Dice Wolf reviewed Fog of Love. BGG user seaniefresh101 reviewed Escape: The Curse of the Temple. BGG user gschloesser reviewed Robinson Crusoe: Adventures on the Cursed Island. 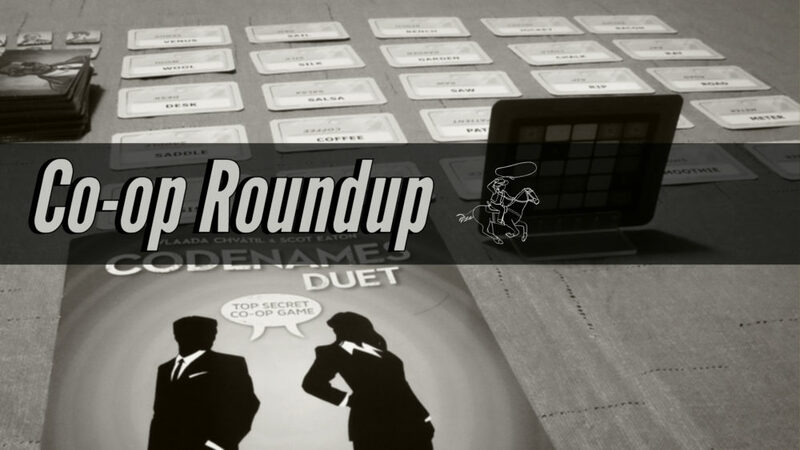 Crit Camp Gaming played a game of Codenames Duet. Board Crazy played a game of The Mind. HitPointsGaming played a game of Perdition’s Mouth: Abyssal Rift. Prattski The Tabletop Gamer played a game of Harry Potter: Hogwarts Battle. The BattleCast played a game of Street Masters. Board on the Bayou unboxed Too Many Bones: Undertow. Zatu Games unboxed Chronicles of Crime. Bonding With Board Games unboxed Pax Emancipation. Down the Vent unboxed Deep Madness and expansions. The Mega Meeple chatted with designer Kate Tessier about her latest game, Wardens.